The Middle Class has been given tax benefits, the rural sector has got a record allocation, small enterprises have got a 5% tax rebate, fiscal targets have been met and tightened further for the next year, election bonds have been introduced for transparency in political funding, capital gains exemptions have been left untouched…the Finance Minister has made everyone happy - from the poor farmer to the honest taxpayer to the foreign investor. 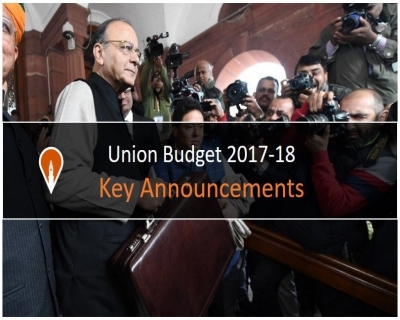 What are the highlights of Budget 2017-18? The government has stepped up allocation for Capital Expenditure by 25.4% over the previous year. This, the Finance Minister, said, will have a positive cascading effect on the economy in the coming years as more assets will be created. Total resources being transferred to the States and the Union Territories with Legislatures is Rs. 4.11 lakh crores for 2017-18, against Rs. 3.60 lakh crores in 2016-17. On course to meet the FRBM targets: The fiscal deficit for 2017-18 is targeted at 3.2% of GDP and the government remains committed to achieve 3% in the following year. In the current financial year (2016-17), the government is confident of meeting the target of 3.5%. Revenue Deficit of 2.3% in 2016-17 stands reduced to 2.1% in the Revised Estimates. The Revenue Deficit for next year is pegged at 1.9%, against 2% mandated by the Fiscal Responsibility and Budget Management (FRBM) Act. Note: The difference between total revenue and total expenditure of the government is termed as fiscal deficit while revenue deficit arises when the government’s actual net receipts is lower than the projected receipts. India Inc. Minimum Alternate Tax (MAT) credit is allowed to be carried forward up to a period of 15 years instead of 10 years at present. MAT was introduced to tax companies that have substantial income but pay zero tax due to various exemptions. Its rate stands at 20%. In order to make Micro, Small, Medium Enterprises (MSME) more viable, income tax for companies with annual turnover up to Rs. 50 crore (as in 2015-16) is reduced to 25%. As per the data of Assessment Year 2015-16, there are 6.94 lakh companies filing returns of which 6.67 lakh companies fall in this category and, therefore, percentage-wise 96% of companies will get this benefit of lower taxation. It must be noted that the government had given a roadmap two years ago to bring down the corporate tax for all companies to 25% (from 30% now). The large companies have not been brought under 25% rate now. The banks have gone home happy today. The Finance Minister has increased the allowable provision for Non-Performing Asset of Banks from 7.5% to 8.5%. This will reduce the tax liability of banks. Interest will now be taxable on actual receipt instead of accrual basis. The concessional with-holding rate of 5% being charged on interest earned by foreign entities in external commercial borrowings or in bonds and Government securities will continue till 30.6.2020. This benefit is also extended to Rupee Denominated (Masala) Bonds. This should make investment in India more attractive. Foreign Investment Promotion Board (FIPB) will be abolished in 2017-18. This augurs well for easing foreign direct investment (FDI) inflow. More than 90% of the total FDI inflows in India are now through the automatic route (where FIPB is not needed). In order to reduce the compliance burden due to domestic transfer pricing provisions, the Budget proposes to restrict the scope of domestic transfer pricing only if one of the entities involved in related party transaction enjoys specified profit-linked deduction. Note: Transfer pricing is the setting of the price for goods and services sold between controlled (or related) legal entities within an enterprise. For example, if a subsidiary company sells goods to a parent company, the cost of those goods paid by the parent to the subsidiary is the transfer price. One of the biggest announcements of this budget is that no transaction above Rs. 3 lakh would be permitted in cash subject to certain exceptions. BHIM will be pushed more. 125 lakh people have adopted the BHIM app, which stands for Bharat Interface for Money, so far. The Government will launch two new schemes to promote the usage of BHIM; these are, Referral Bonus Scheme for individuals and a Cashback Scheme for merchants. RAPID (Revenue, Accountability, Probity, Information and Digitisation): This approach (not a scheme) reflects the new strategy of Tax Department. While revenue considerations will remain the focus of Revenue Department, maximum use of Information Technology will be made to remove human contact with assesses as well as to plug tax avoidance. Data mining capability will be enhanced, both in-house and outsourced. Greater accountability will be expected from the Tax officers for specific acts of commission and omission. “What I am going to say next is going to impact all of us”, said the Finance Minister before he dropped the bomb. He reduced the maximum amount that a political party can receive anonymously to one-tenth and introduced a novel way of funding parties without facing the adverse effects (people and companies often donate anonymously because if the other party wins, they may become targets). In accordance with the suggestion made by the Election Commission, the maximum amount of cash donation that a political party can now receive will be Rs. 2000/- from one person. Political parties will be entitled to receive larger donations by cheque or digital mode from their donors. Reserve Bank of India Act, 1934 will be amended to enable the issuance of electoral bonds. Under this scheme, a donor could purchase bonds from authorised banks against cheque and digital payments only. They shall be redeemable only in the designated account of a registered political party. These bonds will be redeemable within the prescribed time limit from issuance of bond. Essentially, you can fund a political party legally while maintaining your anonymity. The existing rate of taxation for individual assesses between income of Rs. 2.5 lakhs and 5 lakhs has been reduced to 5% from the present rate of 10%. This would reduce the tax liability of all persons below Rs. 5 lakh income either to zero (with rebate) or 50% of their existing liability. All the other categories of tax payers in the subsequent slabs will also get a uniform benefit of Rs. 12,500/- per person per annum. The total amount of tax foregone on account of this measure is 15,500 crores. The rich man (and woman) will compensate for this generosity: A new surcharge of 10% of tax will be levied on individuals whose annual taxable income is between 50 lakhs and 1 crore. The existing surcharge of 15% of Tax on people earning more than 1 crore will continue. This is likely to give additional revenue of 2,700 crores. “Among the 3.7 crore individuals who filed the tax returns in 2015-16, 99 lakh show income below the exemption limit of 2.5 lakh p.a., 1.95 crore show income between 2.5 to 5 lakh, 52 lakh show income between 5 to 10 lakhs and only 24 lakh people show income above Rs. 10 lakhs. Of the 76 lakh individual assesses who declare income above Rs. 5 lakh, 56 lakh are in the salaried class. The number of people showing income more than Rs. 50 lakh in the entire country is only 1.72 lakh. We can contrast this with the fact that in the last five years, more than 1.25 crore cars have been sold, and number of Indian citizens who flew abroad, either for business or tourism, is 2 crore in the year 2015”. The answer probably lies in widening the tax base and acting rigidly against tax evaders. While the rates have come down, more people and companies will pay taxes - or will be made to pay taxes. India’s direct tax collection has increased by 17% year-on-year for two years in a row. Why is this budget being deemed 'balanced'? Budget 2017-18 is balanced and growth oriented with a focus on farmers, rural economy, infrastructure, affordable housing, youth, employment, digital economy and fiscal discipline. It sets out agenda for the next year as: “Transform, Energise and Clean India”, that is, TEC India. 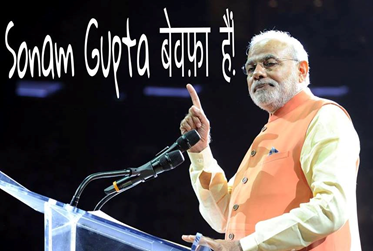 Clean the country from the evils of corruption, black money and non-transparent political funding. 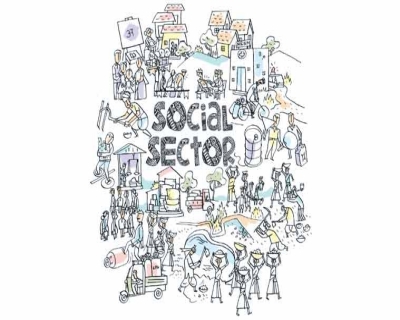 Budget proposals cover ten distinct themes to foster this broad agenda which are pretty comprehensive. Not in three decades was India’s stock market so stable during the first couple of hours of Budget presentation. And then it rose. 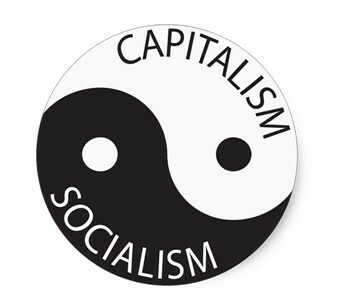 The temple of capitalism had given its thumbs up to a budget that has imprints of socialism all over it. Various experts have hence called it a balanced budget. Describing the Budget as “balanced”, Chanda Kochhar of ICICI Bank said the Finance Minister has tried to “provide a growth impetus” while maintaining fiscal prudence. “He has comprehensively addressed all areas of socio-economic priority — farmers, poor and under-privileged, infra development and strengthening of the financial sector,” she said. NITI Aayog Chairman Amitabh Kant termed the budget very impressive. “Government has given a big push to electronic manufacturing. FIPB abolished... infra main focus of government, rail, road, waterways. The expenditure especially in rural... MNREGA allocation, rural, farm sectors saw a whopping 24 per cent hike. When this will increase rural demand, obviously manufactures production will go up,” he said. “Job creation is the main challange. The changes in tax, simplification in schemes, FIPM abolished, political transparency will attract investment. Also digital payment has got a big push. FM’s speech was devoted on digital payment, this will lead to easiness and simplicity in doing business,” Kant added. Microsoft India President Anant Maheshwari also said Finance Minister Arun Jaitley presented a balanced budget, underlined by the continued push to using technology to aid a digital economy. Suman Reddy, MD, Pegasystems India, also feels it is a well-balanced budget. "The budget has been set to positively impact the general public as well as the business community through economic reforms to accelerate growth and promote investment," he said. When do we notice the social focus? The budget has given special attention to welfare of the poor and underprivileged as well as to rural population and youth of India, as can be seen in various provisions. Mahila Shakti Kendra will be set up with an allocation of Rs. 500 crores in 14 lakh ICDS Anganwadi Centres. This will provide one stop convergent support services for empowering rural women with opportunities for skill development, employment, digital literacy, health and nutrition. Under Maternity Benefit Scheme. Rs. 6,000 each will be transferred directly to the bank accounts of pregnant women who undergo institutional delivery and vaccinate their children. Affordable housing to be given infrastructure status. Government has prepared an action plan to eliminate Kala-Azar and Filariasis by 2017, Leprosy by 2018, Measles by 2020 and Tuberculosis by 2025 is also targeted. Additional 5,000 Post Graduate seats will be created per annum to ensure adequate availability of specialist doctors to strengthen Secondary and Tertiary levels of health care. Two new All India Institutes of Medical Sciences (AIIMS) will be set up in Jharkhand and Gujarat. It has been proposed to amend the Drugs and Cosmetics Rules to ensure availability of drugs at reasonable prices and promote use of generic medicines. The allocation for Scheduled Castes has been increased by 35% compared to 2016-17. The allocation for Scheduled Tribes has been increased to Rs. 31,920 crores and for Minority Affairs to Rs. 4,195 crores. Aadhar based Smart Cards for senior citizens containing their health details will be introduced. Government is well on its way to achieving 100% village electrification by 1st May 2018. An increased allocation of Rs. 4,814 crores has been proposed under the Deendayal Upadhyaya Gram Jyoti Yojana in 2017-18. As part of a sub mission of the National Rural Drinking Water Program (NRDWP), it is proposed to provide safe drinking water to over 28,000 arsenic and fluoride affected habitations in the next four years. Where has the Finance Minister increased the allocations? India’s beleaguered agriculture sector, which accounts for nearly 15% of its GDP, received top billing in the government’s agenda for financial year 2017-18, with the Finance Minister renewing his promise to double farmer incomes in five years. Budget provision of Rs. 9000 crore has been made to increase coverage under Fasal Bima Yojana crop insurance scheme. Long Term Irrigation Fund already set up in NABARD to be augmented by 100% to take the total corpus of this Fund to Rs. 40,000 crores. Dedicated Micro Irrigation Fund in NABARD to achieve “per drop more crop” with an initial corpus of Rs. 5,000 crores. Mission Antyodaya will be launched to bring one crore households out of poverty and to make 50,000 gram panchayats poverty free by 2019, the 150th birth anniversary of Gandhi. MGNREGA allocation to be the highest ever at Rs. 48,000 crores in 2017-18 (up from provision of Rs.38,500 crores under MGNREGA in 2016-17). The Minister noted that the participation of women in MGNREGA has increased to 55% from less than 48% in the past. The initiative to geo-tag all MGNREGA assets and putting them in public domain has established greater transparency. Allocation for Pradhan Mantri Gram Sadak Yojana (PMGSY), including the State's Share is Rs. 27,000 crores in 2017-18. The pace of construction of PMGSY roads has accelerated to reach 133 km roads per day in 2016-17, as against an average of 73 km during the period 2011-2014. Allocation for Pradhan Mantri Awaas Yojana – Gramin increased from Rs. 15,000 crores in 2016-17 to Rs. 23,000 crores in 2017-18 with a target to complete 1 crore houses by 2019 for the houseless and those living in kutcha houses. The government has promised to spend a cumulative Rs. 1,87,223 crore on the rural and agriculture sectors in 2017-18, up 24% from a year earlier. Skill Acquisition and Knowledge Awareness for Livelihood Promotion program (SANKALP) to be launched at a cost of Rs. 4000 crores. Next phase of Skill Strengthening for Industrial Value Enhancement (STRIVE) will also be launched in 2017-18 at a cost of Rs. 2,200 crores. Along with UGC reforms, colleges will be identified based on accreditation and ranking, and given autonomous status. A revised framework will be put in place for outcome based accreditation and credit based programs. A National Testing Agency will be set up as an autonomous and self-sustained premier testing organisation to conduct all entrance examinations for higher education institutions. To generate jobs in Tourism, five Special Tourism Zones will be set up in partnership with the States. Incredible India 2.0 Campaign will be launched across the world. Mahila Shakti Kendra will be set up with an allocation of Rs. 500 crores. Pregnant women who undergo institutional delivery will receive Rs. 6,000 each. 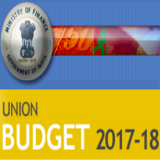 Budget 2017-18 has allocated Rs. 3.96 lakh crore towards the infrastructure sector, an increase of 13% over last year’s budgetary outlay. In all, the finance minister raised capital expenditure — essentially, money spent on acquiring or maintaining fixed assets — by 25.4%. For the transportation sector as a whole, including rail, roads, shipping, provision of Rs. 2,41,387 crores has been made in 2017-18. For 2017-18, the total capital and development expenditure of Railways has been pegged at Rs. 1,31,000 crores. This includes Rs. 55,000 crores provided by the Government. For passenger safety, a Rashtriya Rail Sanraksha Kosh will be created with a corpus of Rs. 1 lakh crores over a period of 5 years. In the road sector, Budget allocation for highways increased from Rs. 57,976 crores in 2016-17 to Rs. 64,900 crores in 2017-18. In line with the “Indradhanush” roadmap for the public sector banks, Rs. 10,000 crores have been provided for the recapitalisation of Banks in 2017-18. Lending target under Pradhan Mantri Mudra Yojana to be set at Rs. 2.44 lakh crores. Who are celebrating this Budget? 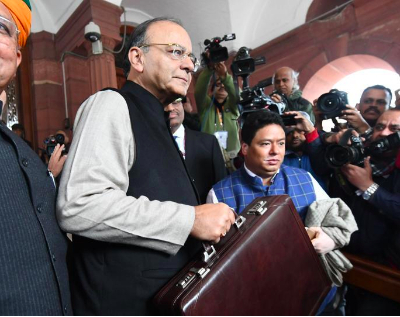 This budget soothed India’s distressed hinterland with massive outlays for the farm sector, a raft of measures for rural development, and a record allocation to MGNREGA, the country’s main rural employment program. The budget also outlined the government’s goal for poverty alleviation in the country — about 30% of the Indian population falls below the international poverty line. By 2019, the government plans to bring 10 million households out of poverty and make 50,000 gram panchayats poverty-free. India’s burgeoning middle-class, still reeling from the cash ban, hasn’t been forgotten either. The FinMin has slashed the income tax rate for the lower rung of taxpayers, those earning between Rs 2.5 lakh and Rs 5 lakh. Stock markets seemed to give a resounding thumbs-up to Union Budget. Both the Sensex and the Nifty rose steadily as Arun Jaitley's speech progressed in the Lok Sabha, and registered gains of around 1 percent by the time he finished. When Jaitley took his seat after finishing his speech, the Sensex was more than 300 points up and the Nifty was up by 80. Both indices seemed to show no signs of slowing their rise. To further support industry, Jaitley continued with the Modi government’s plan of spending substantially on infrastructure. There is a big tax cut was for small enterprises with turnover not exceeding Rs50 crore — a significant move considering that small and medium enterprises form 96% of India’s companies. The budget contained no announcements about corporate and capital gains taxes, something which stock investors were monitoring. “No change in capital gains tax regime for listed stocks and clarification on non-applicability of indirect transfer rules to foreign portfolio investors (FPIs) and alternative investment funds (AIFs) will be a big relief to the investors and could trigger an immediate rally on the stock markets,” Girish Vanvari, head of tax at KPMG India, said. The biggest positive was consistency and lack of negative surprises. How has the demonetization drive got a prominent place in the budget? Demonetisation seeks to create a new ‘normal’ wherein the GDP would be bigger, cleaner and real. Demonetisation has strong potential to generate long-term benefits in terms of reduced corruption, greater digitisation of the economy, increased flow of financial savings and greater formalisation of the economy, all of which would eventually lead to higher GDP growth and tax revenues. Demonetisation helps to transfer resources from the tax evaders to the Government, which can use these resources for the welfare of the poor and the deprived. It is worthwhile to note here that the Economic Survey 2016-17 says that demonetisation is an inefficient way of redistributing wealth because in the short run the process harms the poor more than the rich. 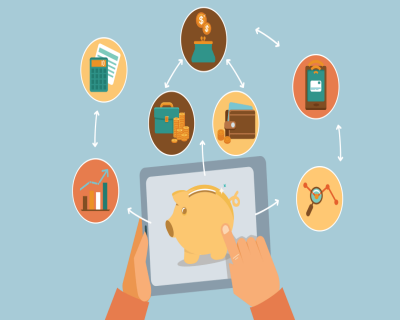 There is early evidence of an increased capacity of Banks to lend at reduced interest rates and a huge shift towards digitisation among all sections of society. The surplus liquidity in the banking system, created by demonetisation, will lower borrowing costs and increase the access to credit. This will boost economic activity, with multiplier effects. Like all reforms, this measure was obviously disruptive, as it seeks to change the retrograde status quo. Drop in economic activity, if any, on account of the currency squeeze during the remonetisation period is expected to have only a transient impact on the economy. The pace of remonetisation has picked up and will soon reach comfortable levels. The effects of demonetisation are not expected to spill over into the next year. The International Monetary Fund (IMF), even while revising India’s GDP forecast for 2016 downwards, has projected a GDP growth of 7.2% and 7.7% in 2017 and 2018 respectively. 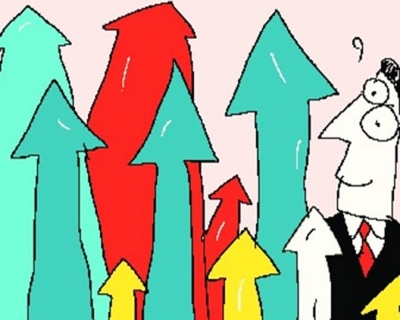 The World Bank, however, is more optimistic and has projected a GDP growth of 7% in 2016-17, 7.6% in 2017-18 and 7.8% in 2018-19. During the period 8th November to 30th December 2016, deposits between Rs. 2 lakh and Rs. 80 lakh were made in about 1.09 crore accounts with an average deposit size of Rs. 5.03 lakh. Deposits of more than 80 lakh were made in 1.48 lakh accounts with average deposit size of ` 3.31 crores. This data mining will help immensely in expanding the tax net as well as increasing the revenues, which was one of the objectives of demonetisation. Finance Minister said that that demonetisation and GST which were built on the third transformational achievement of Government, namely, the JAM vision, will have an epoch making impact on our economy and the lives of our people. World economy currently faces considerable uncertainty, in the aftermath of major economic and political developments during the last one year. IMF estimates that world GDP will grow by 3.4% in 2017. The advanced economies are expected to increase their growth from 1.6% to 1.9% and the emerging economies from 4.1% to 4.5%. As per current indications, macro-economic policy is expected to be more expansionary in certain large economies. Growth in a number of emerging economies is expected to recover in 2017, after relatively poor performance in 2016. These are positive signs and point to an optimistic outlook for the next year. Second, the uncertainty around commodity prices, especially that of crude oil, has implications for the fiscal situation of emerging economies. It is however expected that increase, if any, in oil prices would get mitigated by quick response from producers of shale gas and oil. This would have a sobering impact on prices of crude and petroleum. Third, in several parts of the world, there are signs of increasing retreat from globalisation of goods, services and people, as pressures for protectionism are building up. These developments have the potential to affect exports from a number of emerging markets, including India. Amidst all these developments, India stands out as a bright spot in the world economic landscape. India’s macro-economic stability continues to be the foundation of economic success. As mentioned under ‘What’, all economic indicators - inflation, fiscal deficit, current account deficit, FDI and foreign exchange reserves - are looking good for India. A number of global reports and assessments, over the last two years, have shown that India has considerably improved its policies, practices and economic profile. These are reflected in Doing Business Report of the World Bank; World Investment Report 2016 of UNCTAD; Global Competitiveness Report of 2015-16 and 2016-17 of the World Economic Forum; and several other Reports. In the last one year, India has witnessed historic and impactful economic reforms and policy making. There were two tectonic policy initiatives, namely, passage of the Constitution Amendment Bill for GST and the progress for its implementation and the demonetisation of high denomination bank notes.